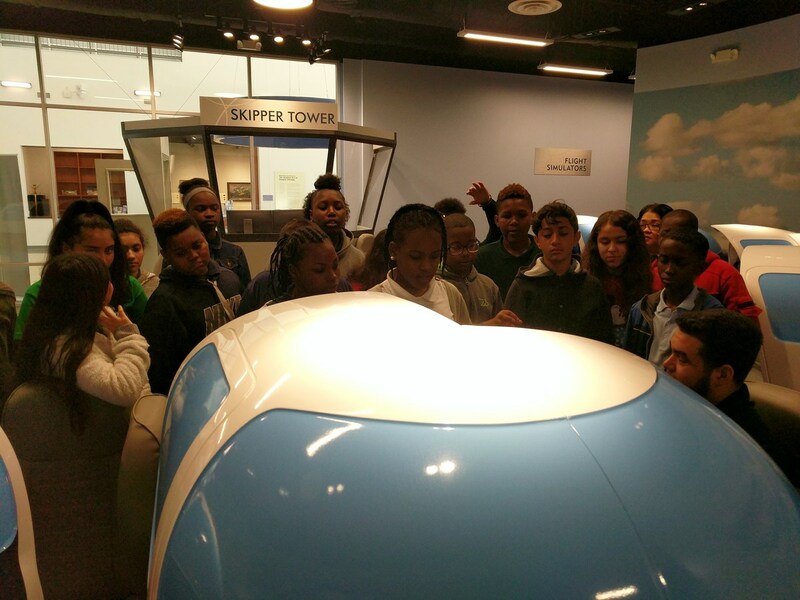 Welcome to the Aerospace Academy! 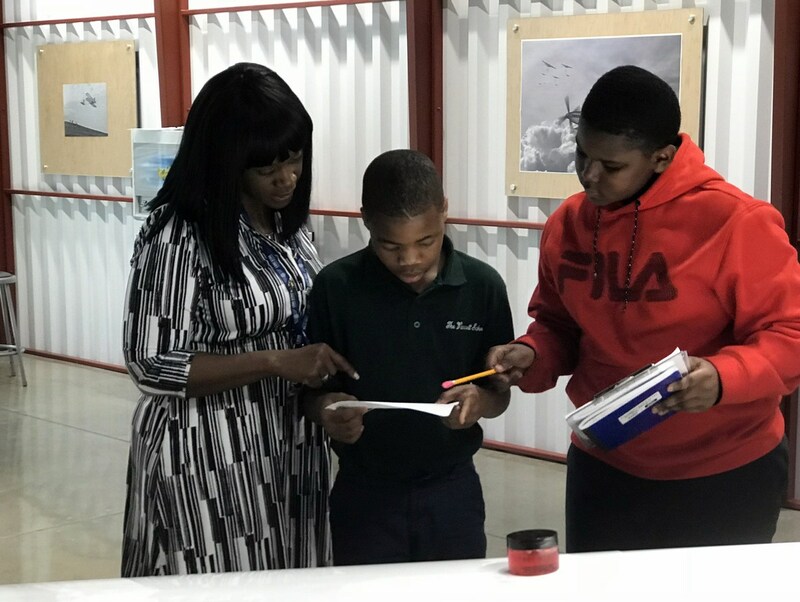 Nearly 100 students toured the Lone Star Flight Museum Friday, triggering the official launch of The Varnett Public’s School’s Aerospace Academy for this year’s sixth graders. The academy will expand next school year to include students in grades 6-8. 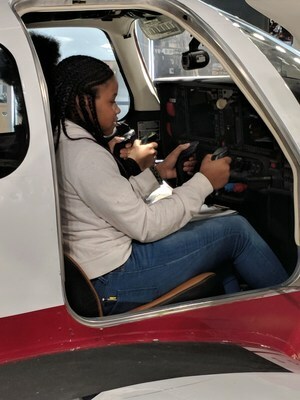 “Our mission is to prepare and inspire the next generation of skilled professionals for aviation and aerospace careers while promoting STEAM-based education,” said Dr. Lakeisha Hamilton, the district’s curriculum and instruction officer. STEAM (Science, Technology, Engineering, the Arts and Mathematics) will be incorporated into the overall Aerospace Academy curriculum, Dr. Hamilton said. Ultimately, prepare students for rewarding careers in the 21st century economy by improving student achievement outcomes in math and science. 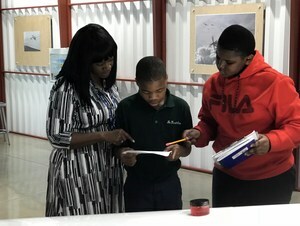 The 98 students who visited the flight museum on Feb. 16 engaged in hands-on experiments and were quizzed on what they learned. Subsequent visits to the museum will include seventh-graders and will occur on March 23, April 20 and May 11. 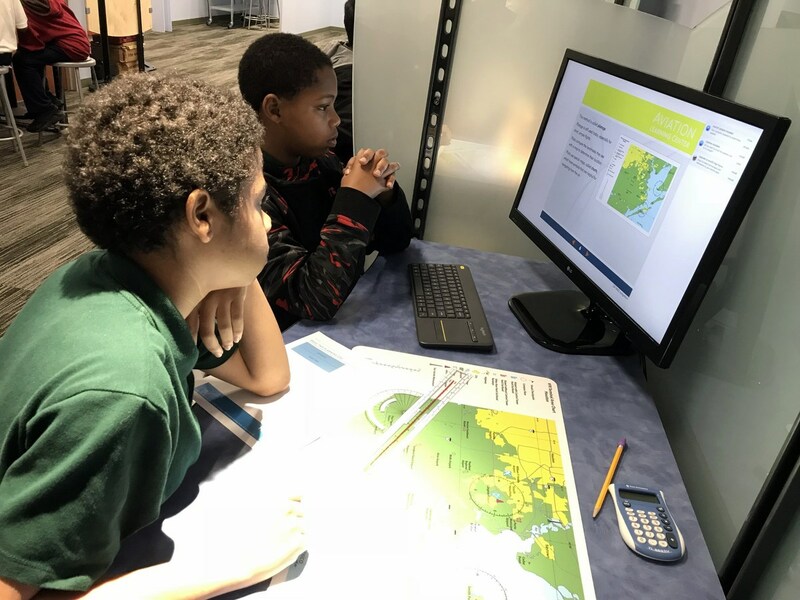 Oswaldo Garcia, a 12-year-old sixth grader at The Varnett School East, said he wanted to be a video game creator when he grows up. That was before he took the flight museum tour. Now, he says, he wants to be a commercial airline pilot, even though he has never traveled by plane before. 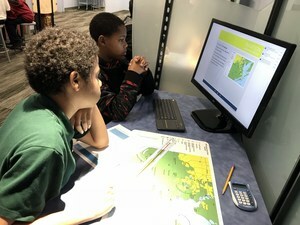 Working with paper airplanes gives students the chance to explore, design, redesign and even do independent study, according to the Aviation for Kids website. The use of paper airplanes is believed to have originated 2,000 years ago in China. Facilitating collaboration focused on improving success rates of underperforming students, with a special focus on students from low-income families.